Satisfy the dream home search here in the gated Emerald Valley Subdivision where a community pool and clubhouse await and views of White Oak Mountain. Home here can feel like an endless resort stay with such pristine landscape and setting. 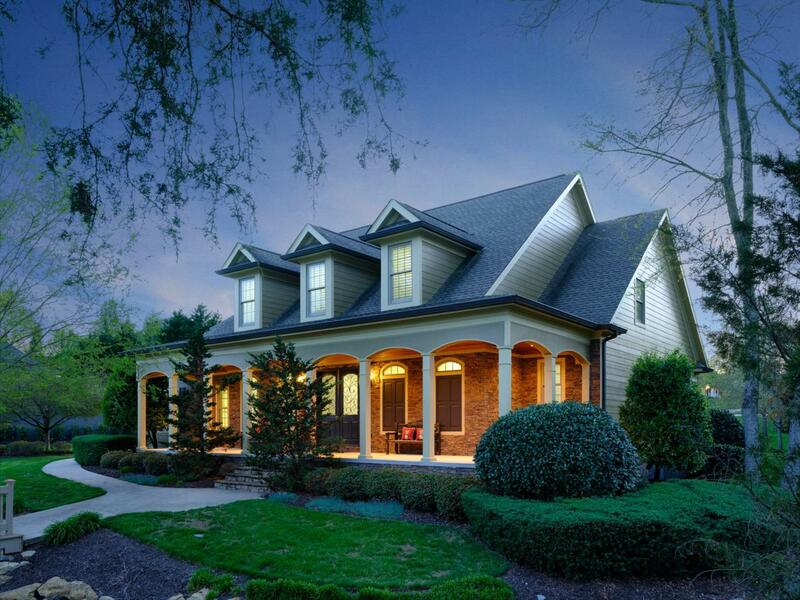 The large custom front porch welcomes you home with stone exterior, bead board ceiling, and double wood door. Neutral colors and natural light fill the home highlighting all the architectural details such as the specialty ceilings in the spacious keeping room with gas fireplace, and plantation shutters and cathedral ceiling in the great room with gas fireplace. The kitchen features stainless steel appliances and granite countertops with extra eating space, breakfast nook by the bay windows, and a separate formal dining room surrounded with wainscoting.The Master bedroom oasis on the main level offers generous space including a sunroom seating area with private access to the back deck, an en-suite with custom Kohler DTV shower including rainfall shower head and large jacuzzi tub, double vanities, and walk-in-closet. Three additional spacious bedrooms on second level and bonus room. Each room in this home offers generous space and the feeling of luxury and continues to the back screened in porch and spacious backyard. It's easy to call this one home!